*This tour is rated PG-13. No children under 6 allowed. An adult must accompany anyone under the age of 18. 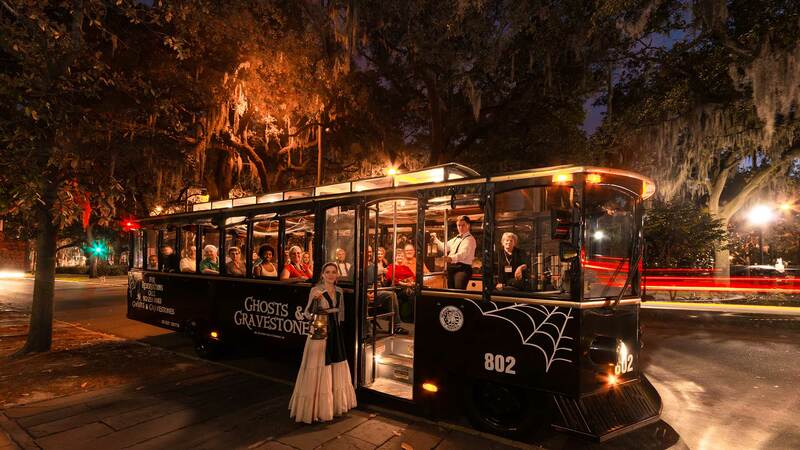 E-tickets for Ghosts & Gravestones of Savannah are sold exclusively through Trusted Tours & Attractions. Trusted Tours offers industry-leading value, guarantees, security and pricing for hundreds of the top tours and attractions throughout the United States. Reservations are required. October means Halloween and our tours sell out quickly. ADVANCE securing of your tour is highly recommended, especially for the week of Halloween, October 24 to October 31. Space is very limited for this very popular excursion, so DON’T DELAY!